Your living room is important. It is where you go to relax at all times of the day. You want it to be a space you can enjoy, walking into it day after day and still enjoying the ambiance. Most of all, you want it to match your personality. There are many styles of living rooms to choose from, but don’t worry, we want to help. Below, we have gathered 41 contemporary living room designs and ideas. The styles you are going to look at range widely, showing you plenty of options. Take your time and browse through them. Find some ideas that you like and tailor them to meet your needs, because that’s what is important. Built into the slanted part of this house, the entire wall is glass, offering an amazing view. The hardwood used all aroudn this space and the stone style wall all make for an unfinished, yet perfect style. The red brick wall hosts fantastic art that goes wonderfully with the colorful patterns around the room. This is the perfect place to sit back and catch up on some television shows. 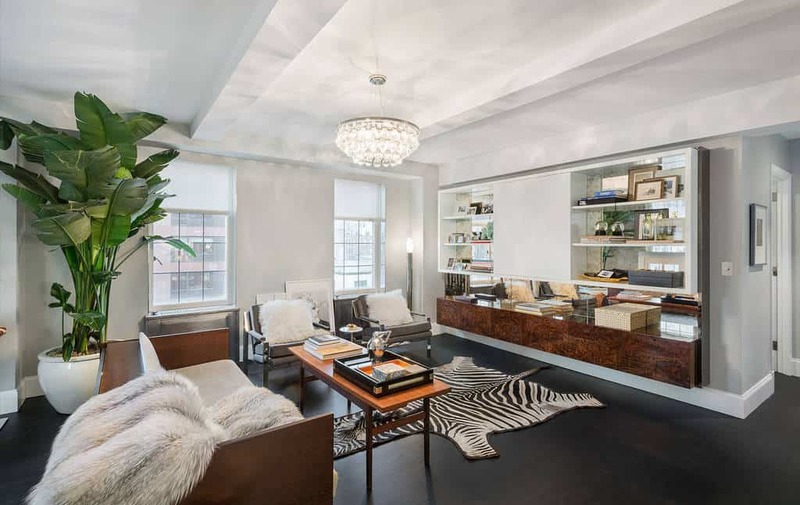 The divider between the living room and the other spaces, the wonderful light fixture. You can sense the Asian influences on this contemporary space. 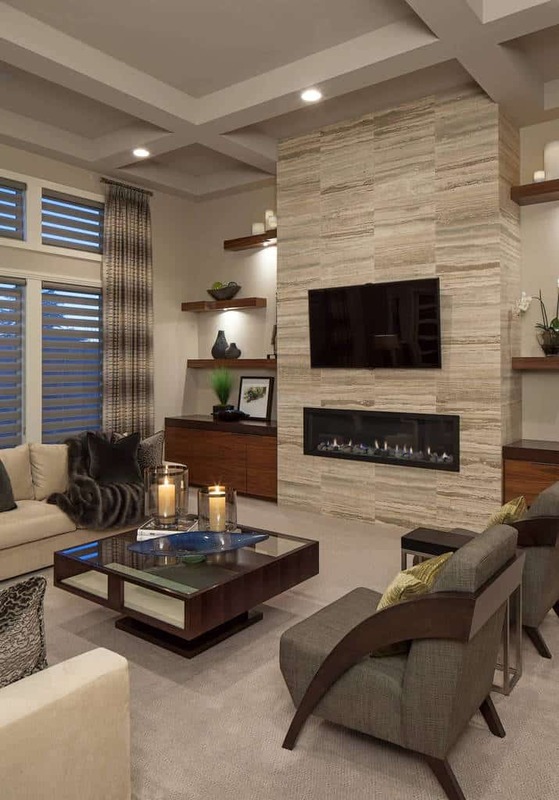 The stone fireplace blends so well with the shelves surrounding it and the glass topped table is a sleek addition to the room. 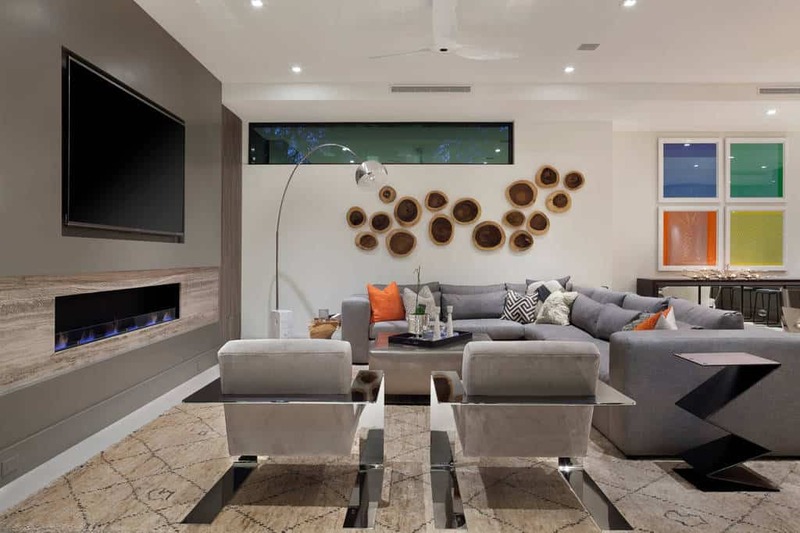 Modern furniture and warm designs are the highlight of this living room. This living room is wonderful because of how easily is it connected to the other areas of the house. 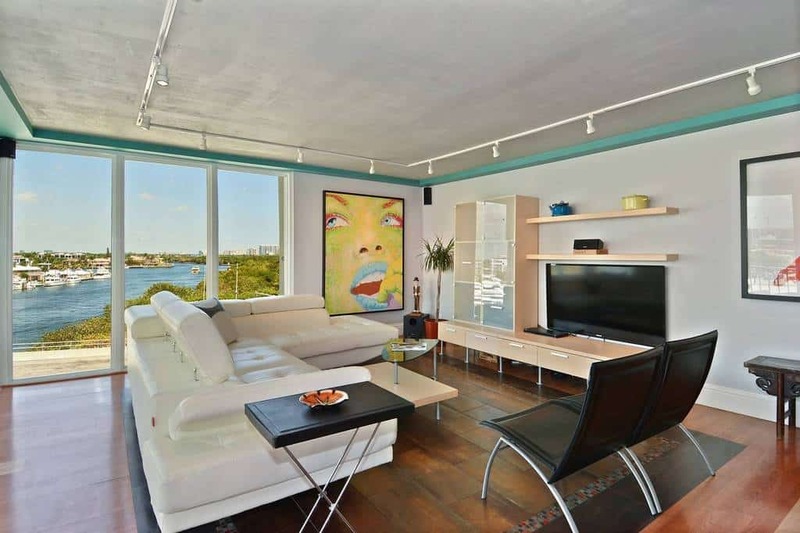 With modern decor and fantastic colors, you will love the sleek style of this whole space. There is nothing complicated with this living room, and that is what makes it great. The low lying table matches the couch and the artwork and decor combine wonderfully. The new-age furniture and decor in this living room bring it to life. 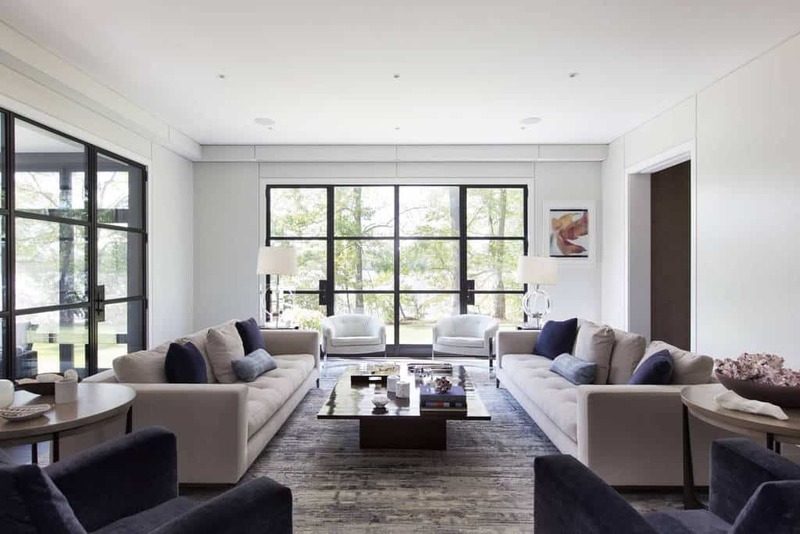 With one end of the room open with windows, the natural light pours into this space to show off a modern, sophisticated area. The symmetry around this room is based off of the warm fireplace. Beautiful shelves line either side, giving the perfect space to display beautiful decor. 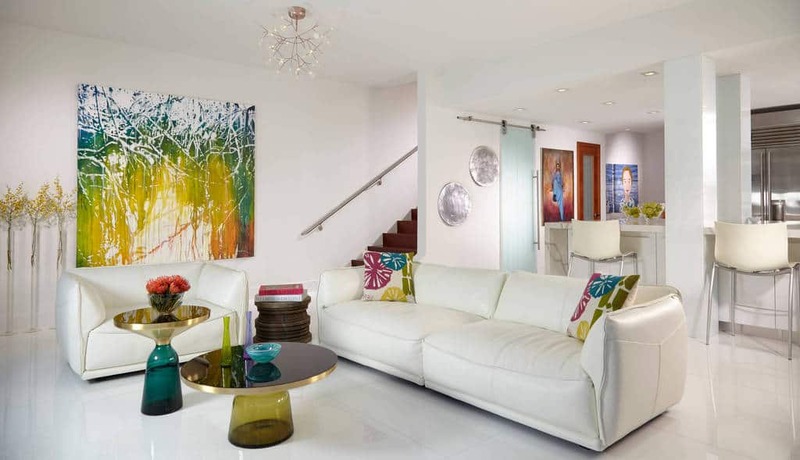 With a white base to work from, this living room brings in colorful, abstract artwork and matching decor. This is a lively and fun space, ready for you to enjoy. 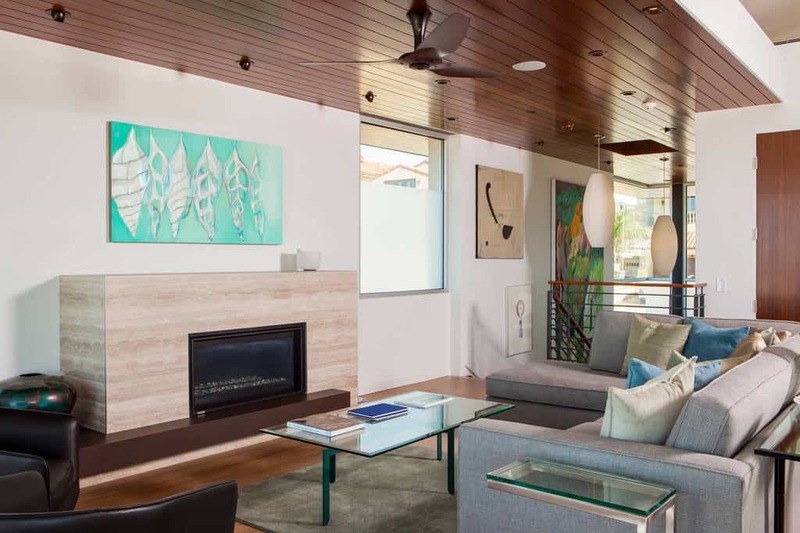 From the decor to the artwork, this room shows off a modern design that works well. 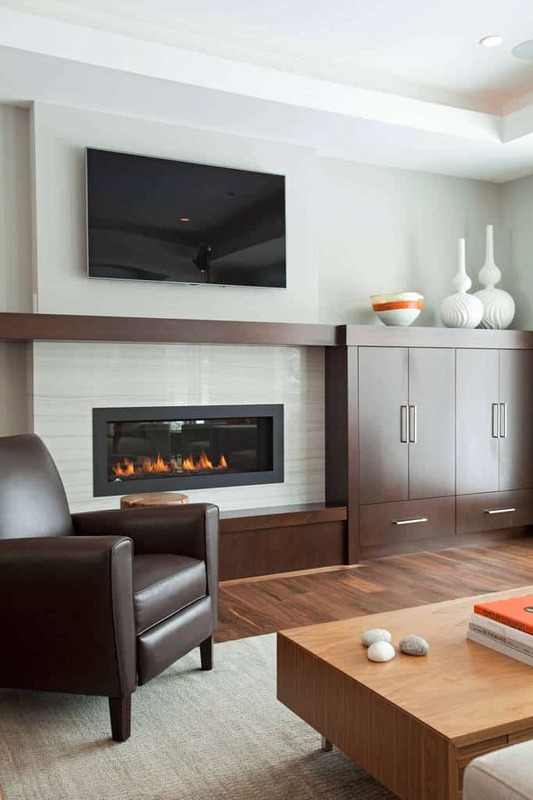 The furniture is sleek, blending with the wonderful ambiance provided by the fireplace and in-wall television. The furniture may remind you of a retro style, but everything combined is a contemporary beauty. 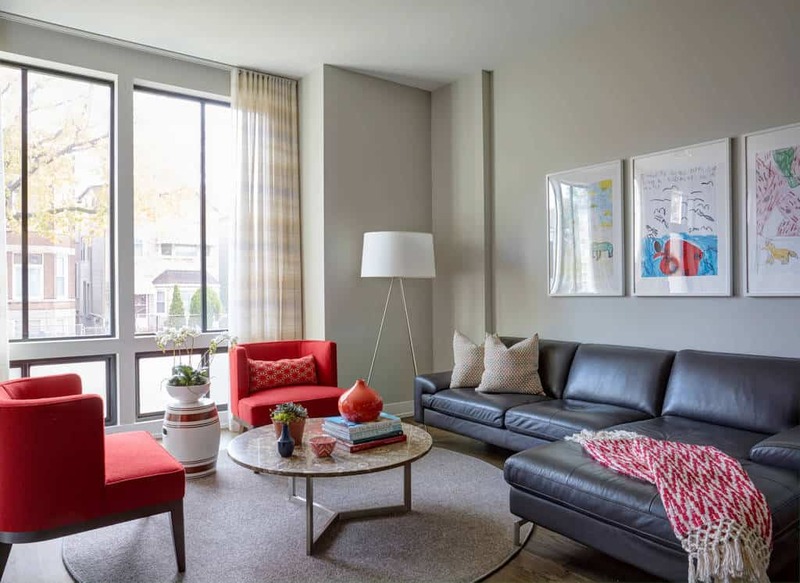 With a simple color scheme and room to move around, you will be relaxed in this living room. 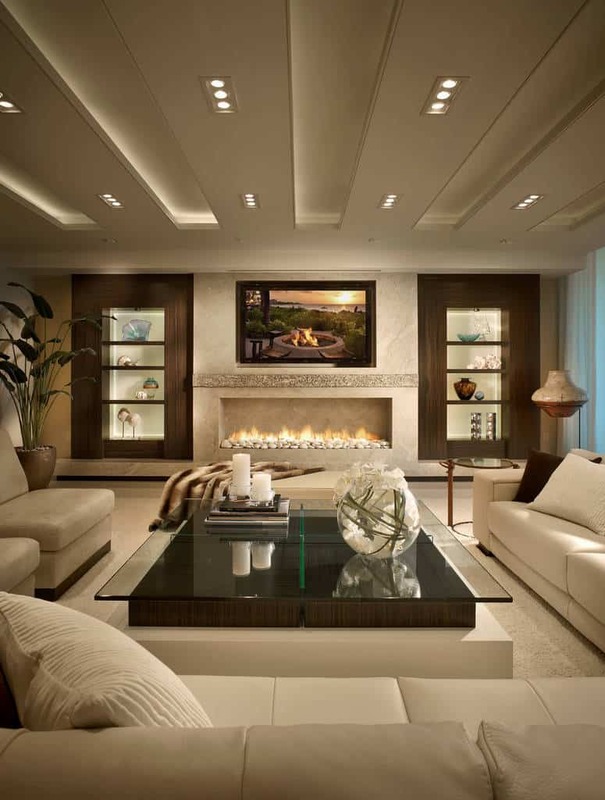 The design of this living room is beautiful, with everything facing a magnificent fireplace and television space. The patterns, from the carpet to the furniture, work perfectly. 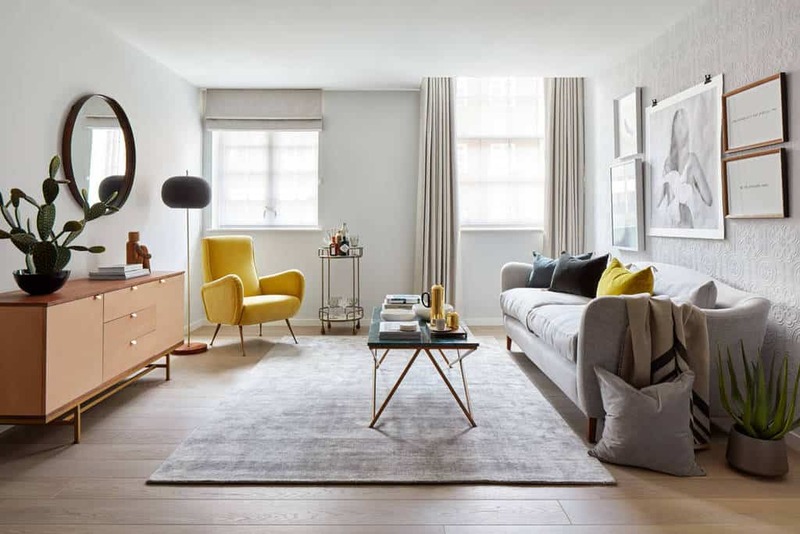 The patterned rug blends wonderfully with the furniture in this living room area, and the displays for photographs bring it a modern design flair. This is the perfect area to come relax with a book. Open and giving you a wonderful view, this living room is set up to let you sit back and relax. 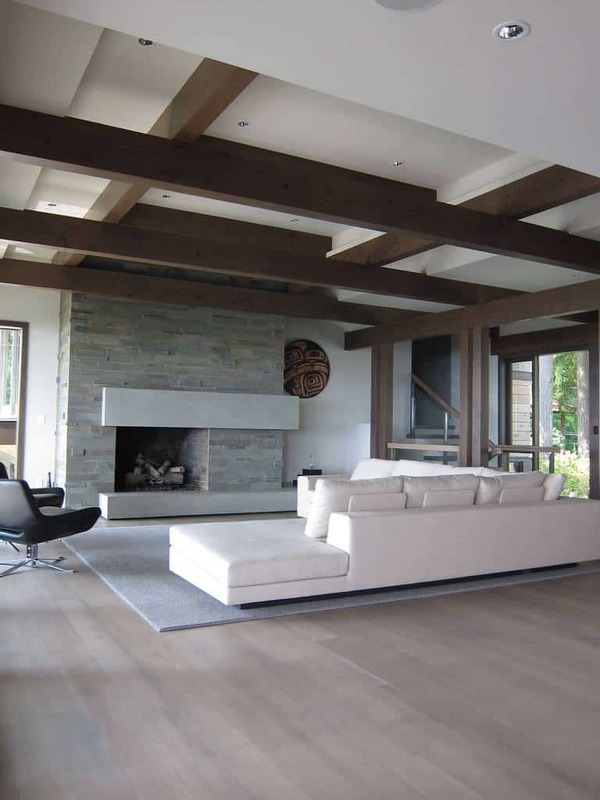 The hardwood beams and ceiling work well and are matched by the modern furniture. 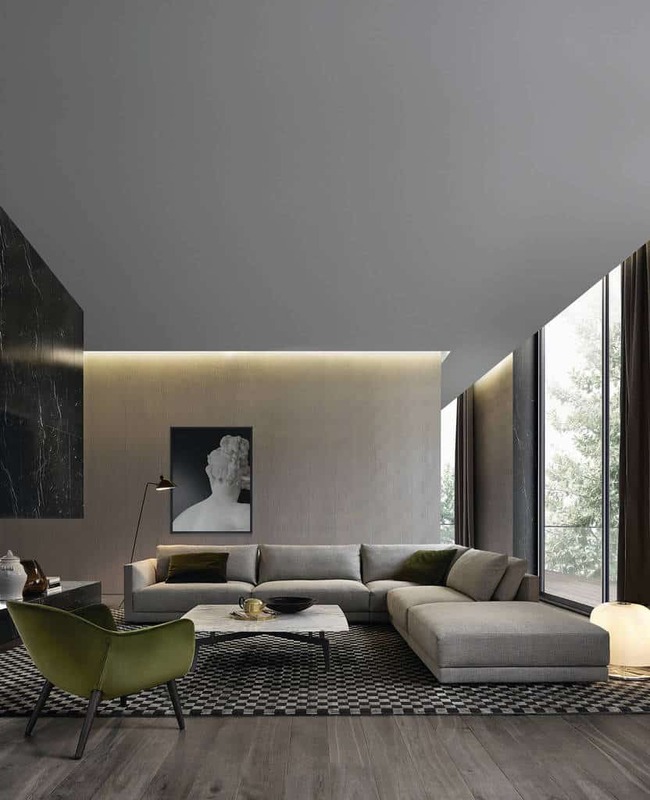 The dark floor of this living room is contrasted well with the light walls and ceiling. The furniture is simple but stylish, giving you a minimal sense of style. Getting creative with your living room is the perfect thing to do. 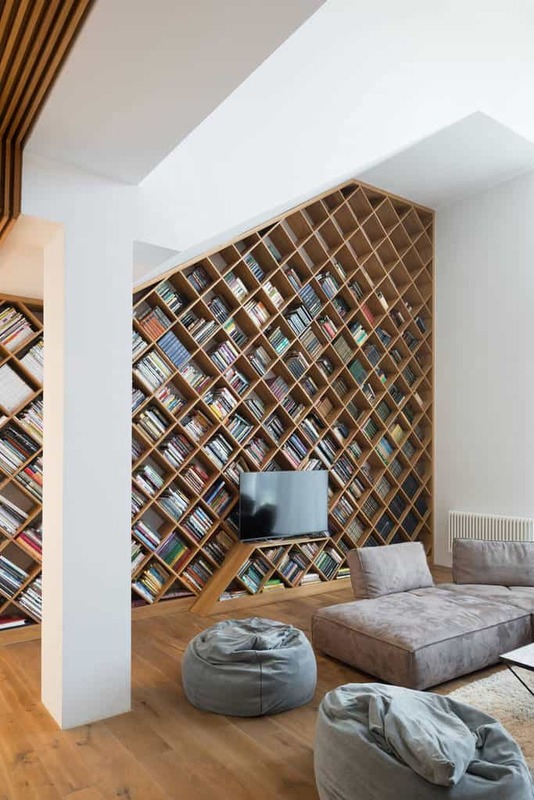 This honeycomb style shelving provides you with endless space and the furniture is pared down to the comfortable parts. 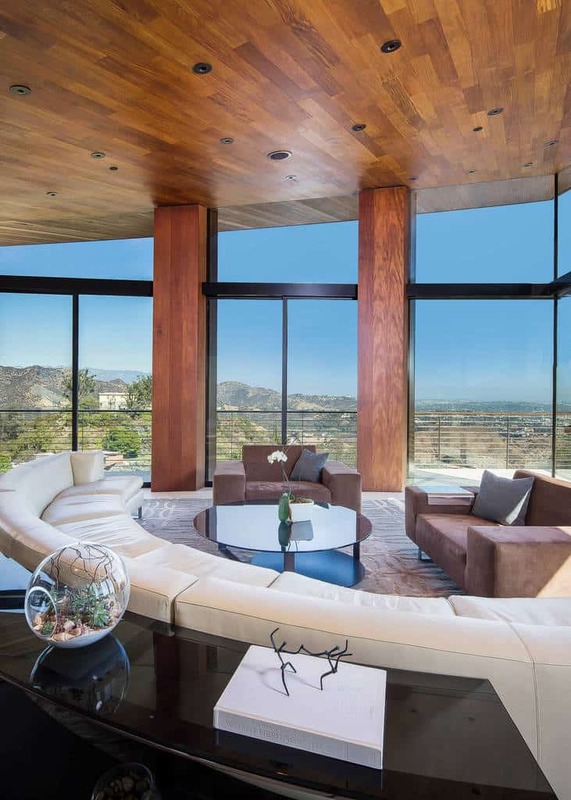 This living room can be your place for relaxation. The light styles are shown off perfectly by the natural light that shines in from the window. 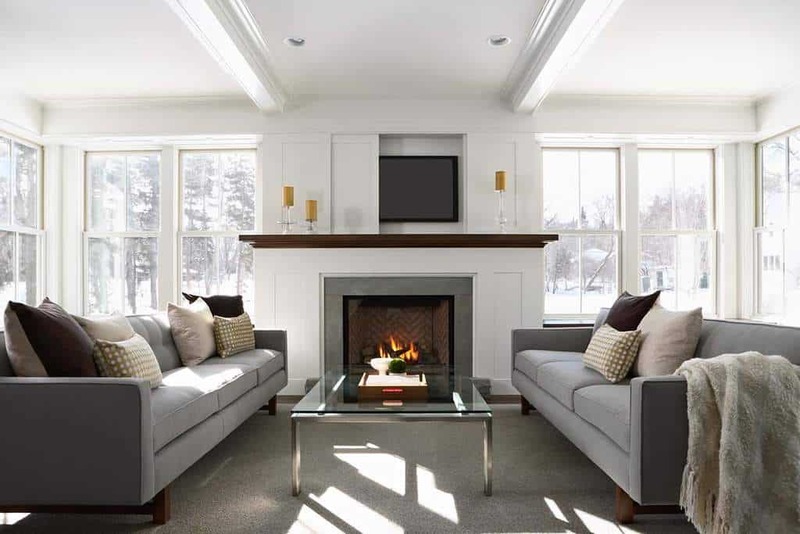 The cinder block style used around this fireplace is the perfect complement to this room. 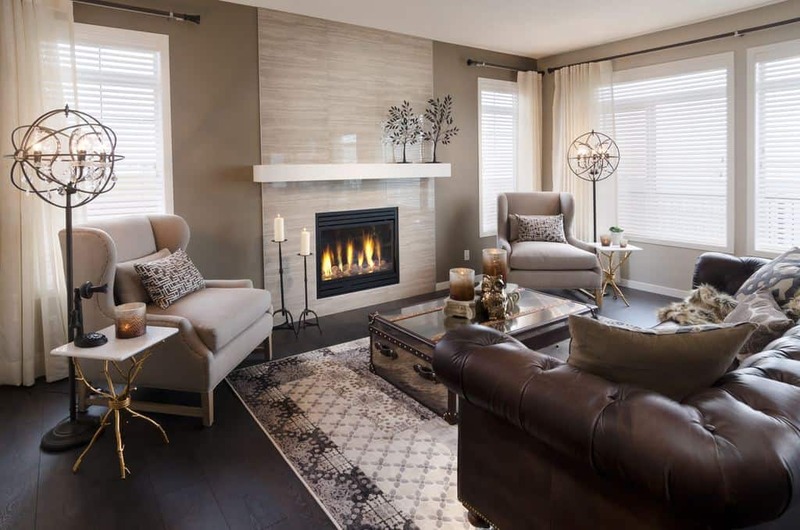 The earth tones, combined with the hardwood styles, make this space warm and welcoming. The artwork makes this room pop to life with its colorful and stylish approach. The natural light shines in on this area, showing off the wonderful hardwood floor. 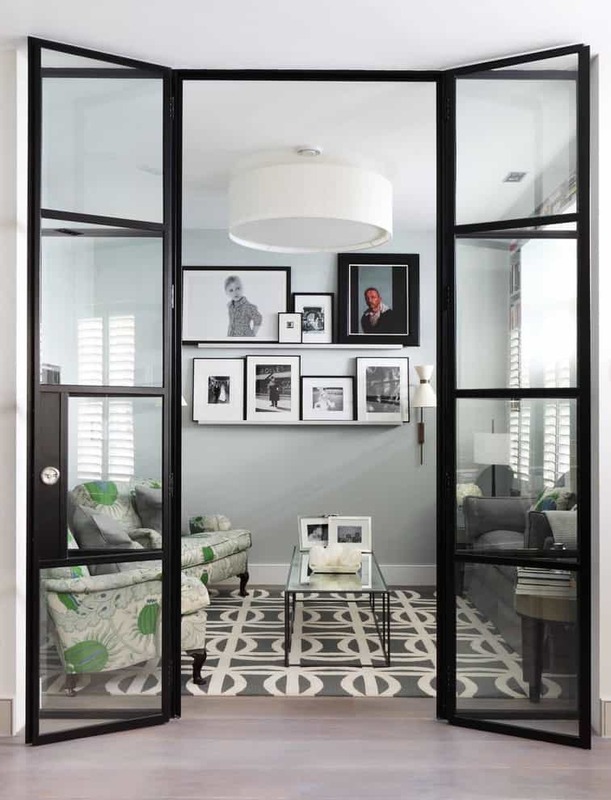 Look around this room and take in the great design blends. The artwork goes with the pillows and the pillows go with the rug. Top it off with the great table design and you have a wonderful space. 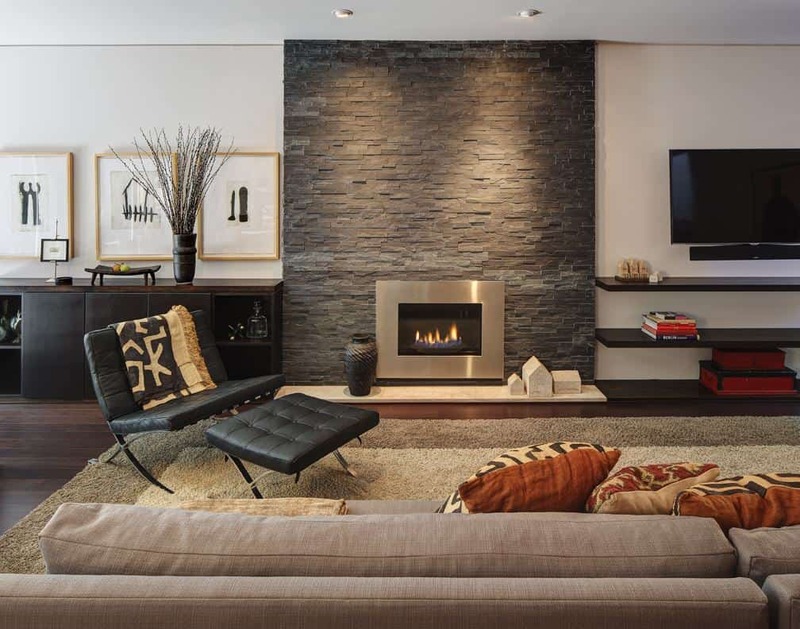 The dark stacked stone design around this fireplace matches the hardwood floor really well. The decor and furniture of this room give a bold style to match. You can’t help but marvel at the hardwood blends throughout this room. When combined with the lighter walls and decor, the contrast makes a great place to relax. From the exposed wooden beams overhead to the stone around the fireplace, you can sense the bold character of this room. With an Asian minimalism added in, you have a handsome living room. 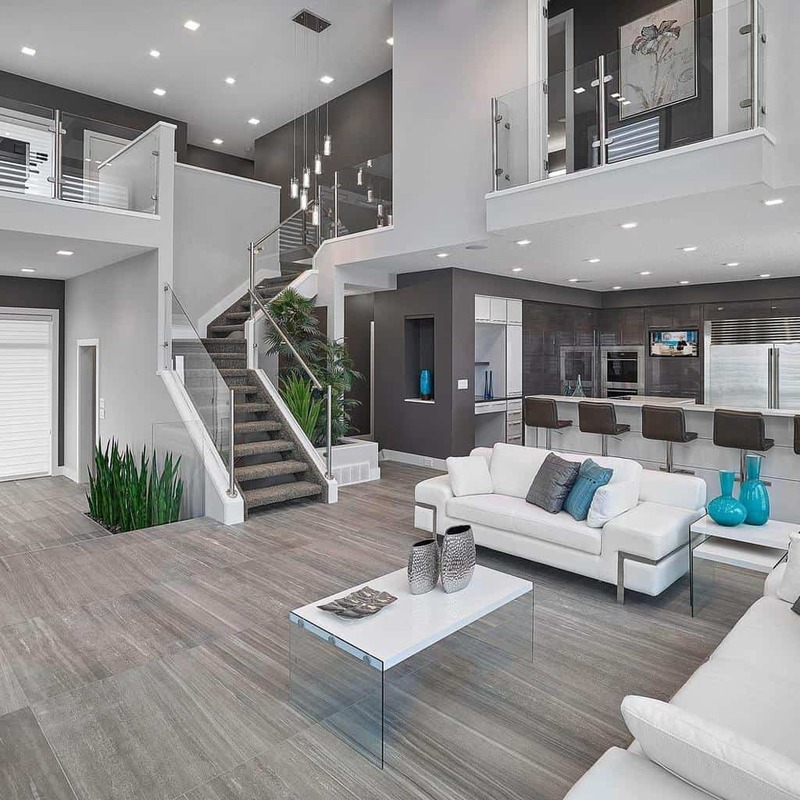 With windows all around to let the natural light shine in, this living room gives you beautiful furniture and plenty of space to host your family and friends for a fun night. 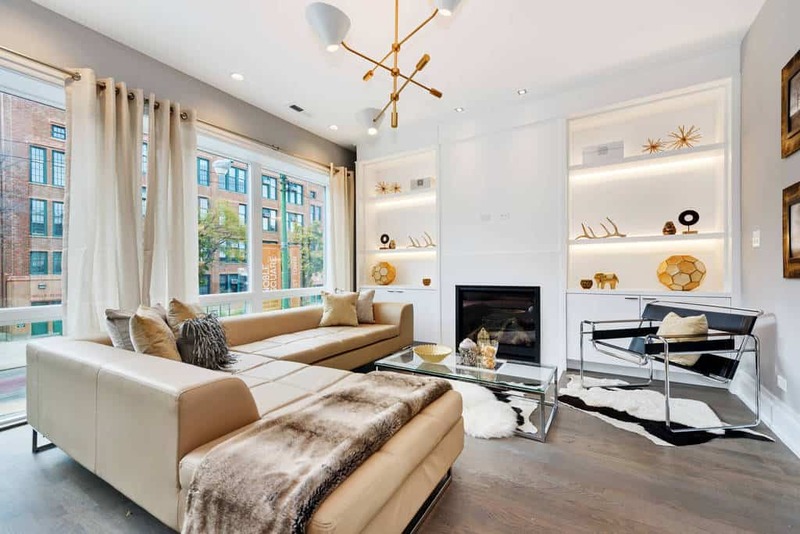 This living room has wonderful contemporary styles, from the furniture to the fixtures. The shelves have great lighting so your decor will always be in display. The decor is simple and it doesn’t overwhelm. With a great space to stay warm thanks to the fireplace, you can sit back and catch up on some shows or relax with a good book. 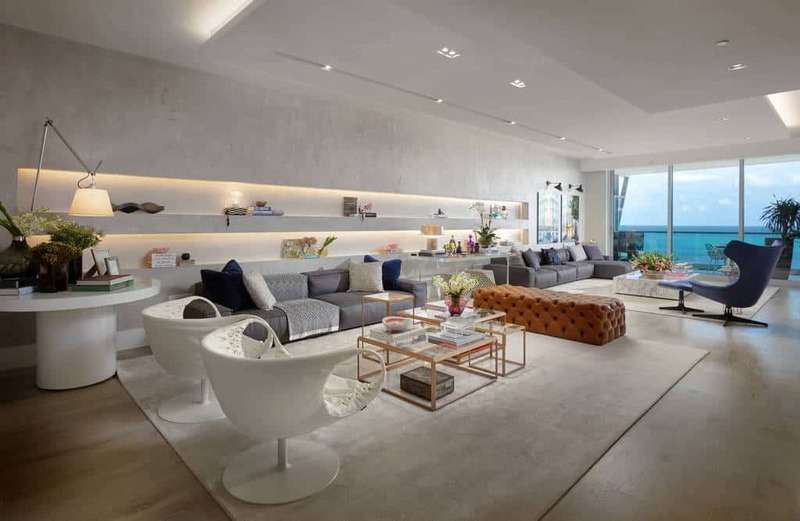 The furniture will make you think about a modern beach style, and the light designs bring this living room to life. The artwork and decor are simple and beautiful, working wonderfully with the color scheme of the room. 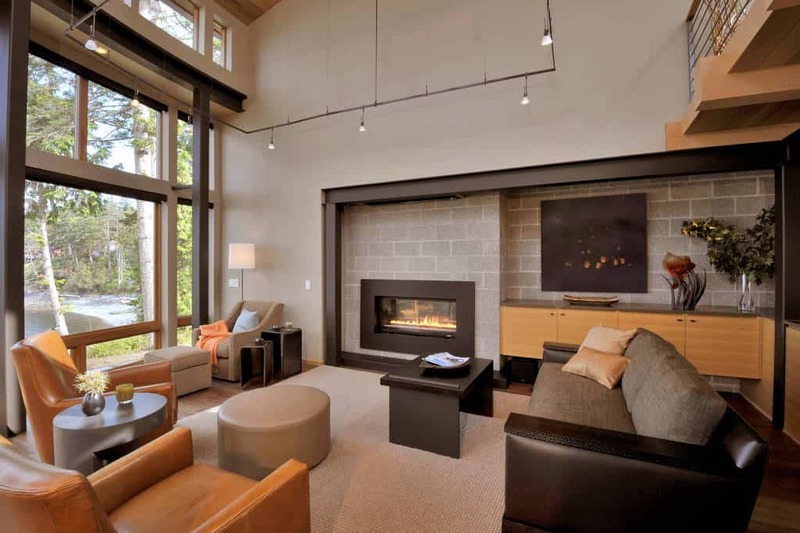 This room is balanced around the fireplace and television space, and has a wonderful symmetry. 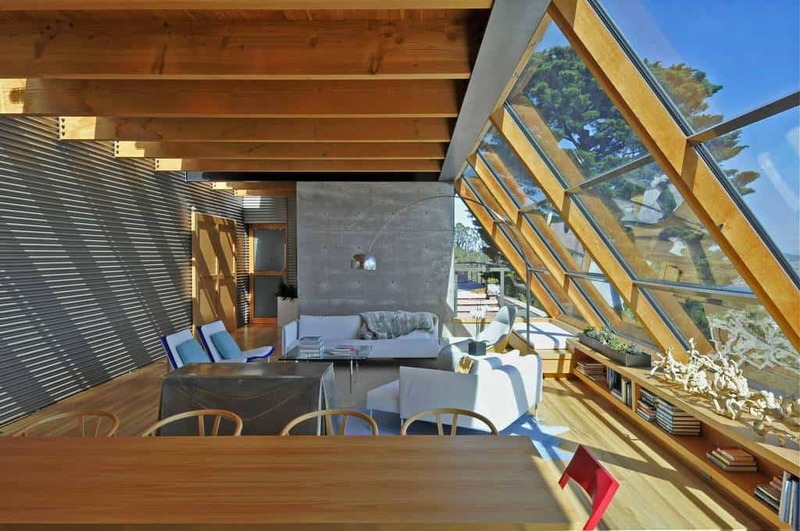 The windows let the natural light shine in, adding to the warm ambiance of the room. 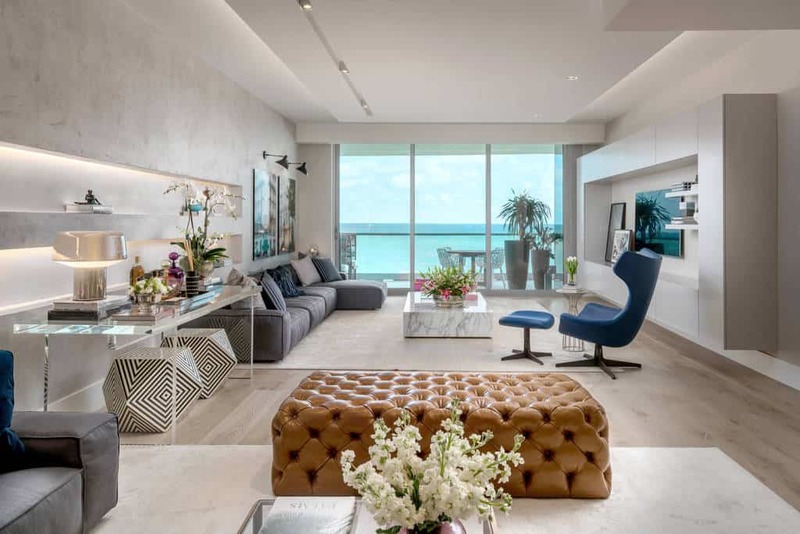 This living room is easily connected to the patio and the whole space features a light design style that brings the room to life. The decor is easy and uncluttered and the furniture artistic and comfortable. From the beautiful floor to the bold hardwood shelving and cabinets, this living room has a balance. The decor is so simple, yet so beautiful, that you will wonder why you haven’t gone minimal before now. The artwork on the wall is fun and lively and is matched by this beautiful furniture. 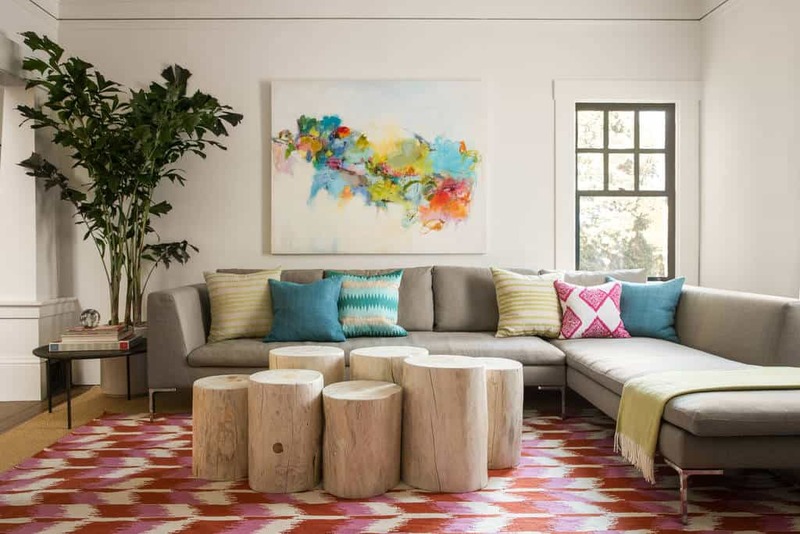 Colorful and not overbearing, this living room gives you the perfect place to relax after a long day. 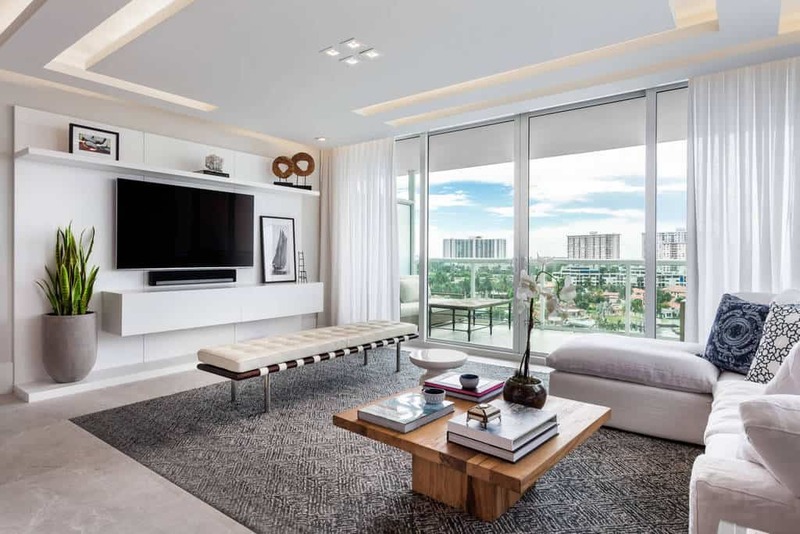 This living room is a blend of Asian style with a sleek contemporary blend. The patterns, from the curtains to the table, bring out the wonder provided by this dark hardwood floor. The furniture used in this living room provides a rustic, yet modern style. The chest designed table, the wonderful side tables, and the light fixtures all blend together perfectly. 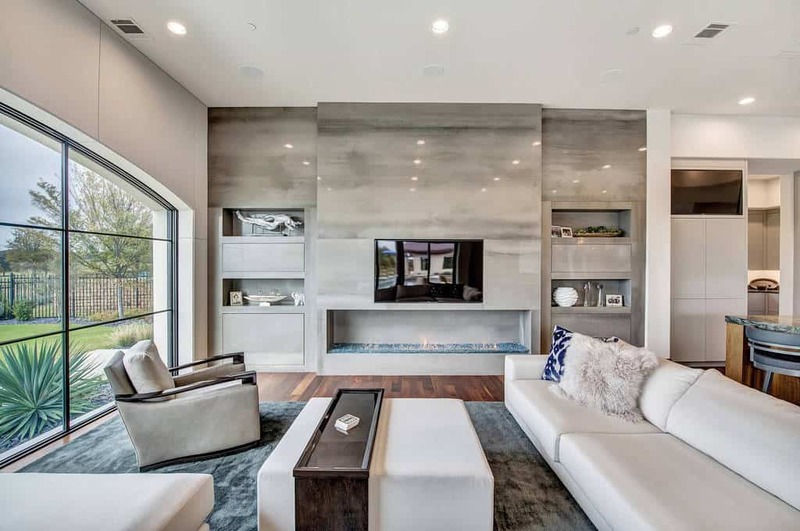 With long shelves that can be used to show off your beautiful decor, this living room shows off its large and open floor plan. With one end all windows, you will never feel enclosed here. 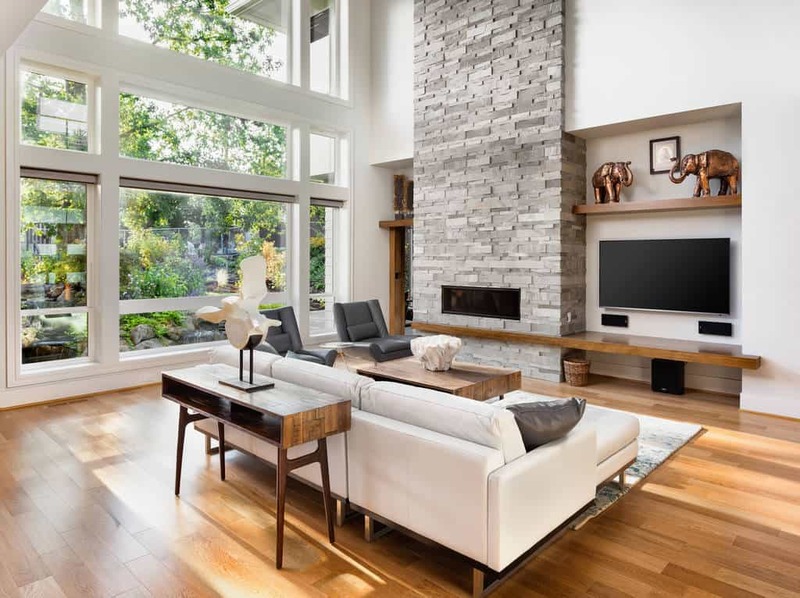 The centerpiece of this living room is the large stacked stone fireplace that will provide you with all the warmth you need. The weathered hardwood floor brings the room an unmatched character. 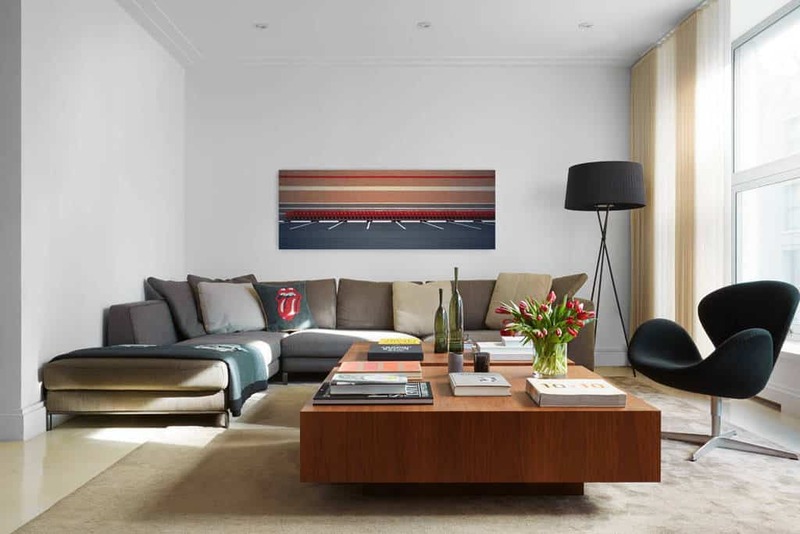 Modern and stylish, this living room uses abstract and beautiful art to blend with the sleek furniture. The beautiful carpet is the perfect base to play with these darker styles. 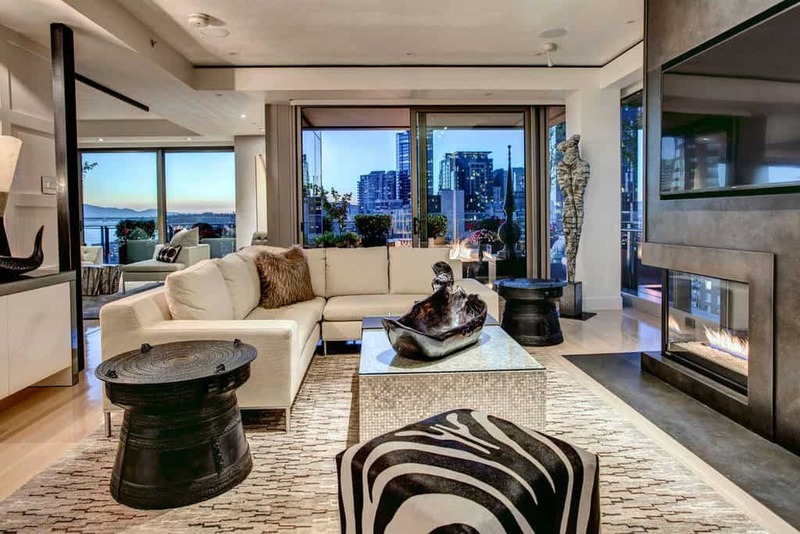 This large living room is balanced around beautiful, contemporary art. 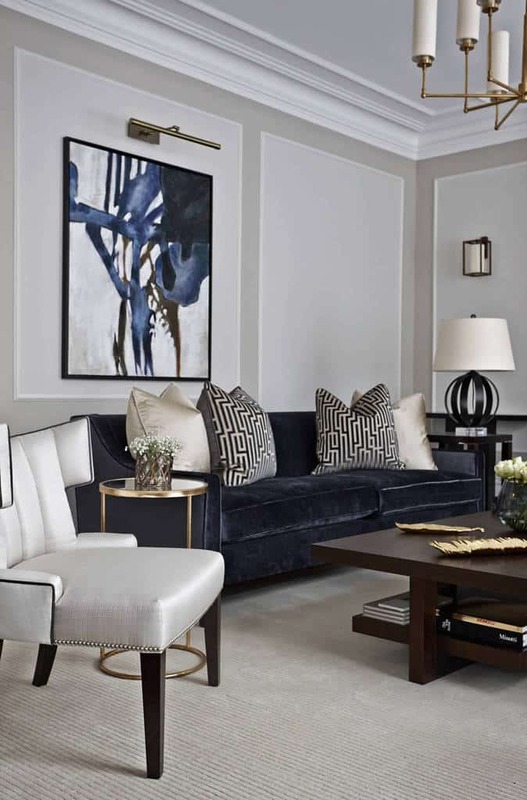 The blues are a wonderful balance to the subdued colors of this room, perfectly showing off the beautiful art. 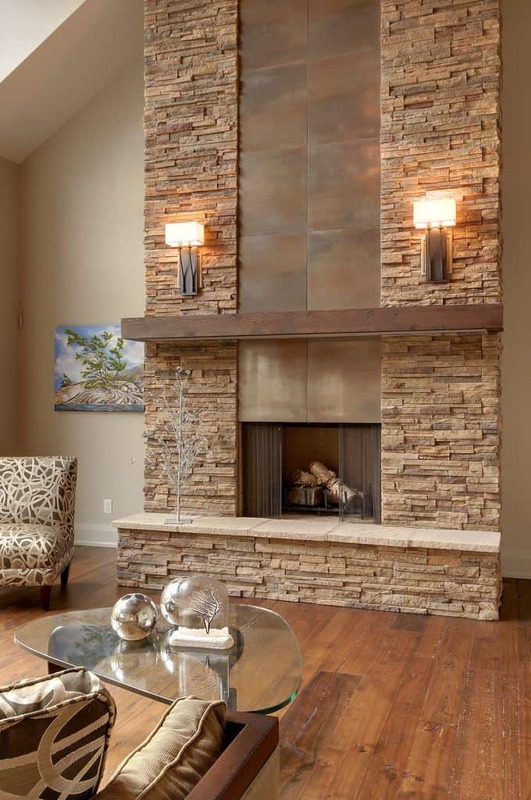 The gray stone used around this fireplace really looks great in the natural light that pours in through the window. The hardwood floor looks great, especially with the light style furniture. 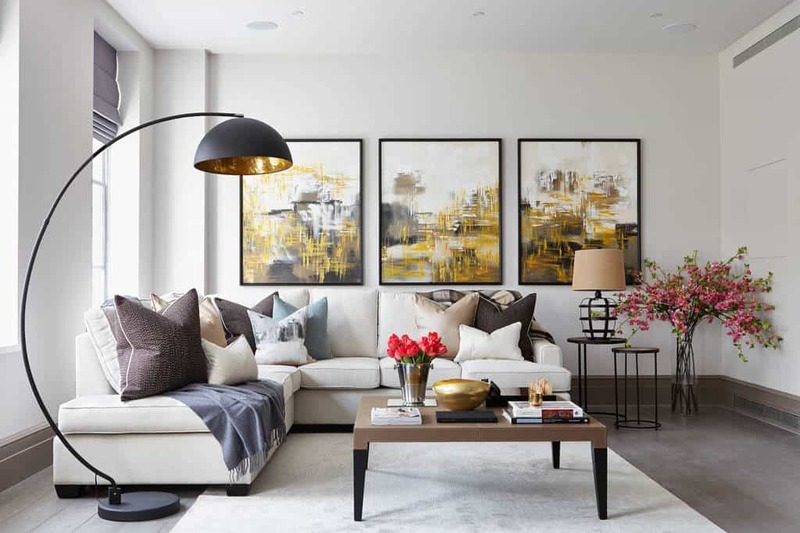 With ease and beauty, this living room uses great artwork to transport you to a calm place. The hardwood floor is a great blend with the wonderful furniture. 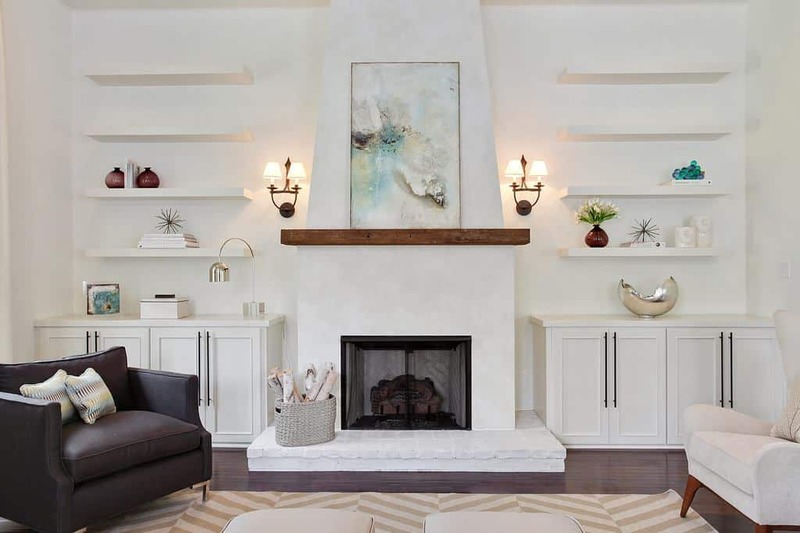 Balanced around this fireplace, you can use these shelves to show off beautiful decor. The light walls and shelves area a great contrast to the dark hardwood floor. 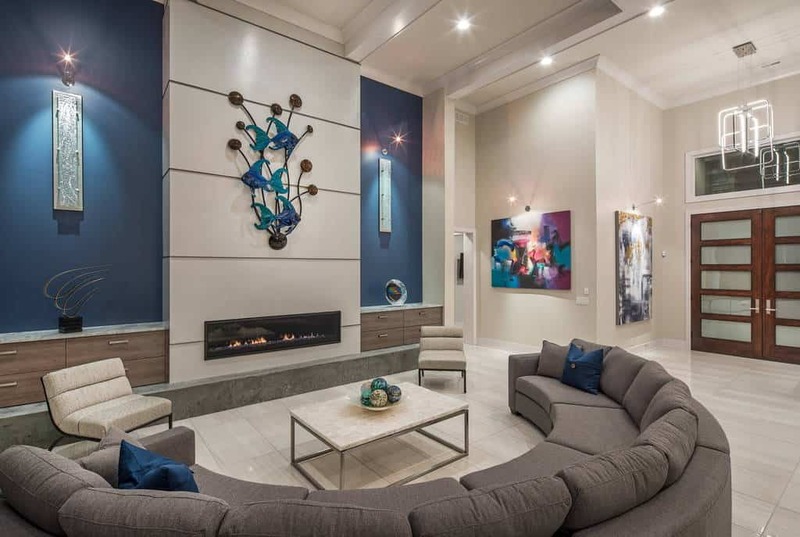 This contemporary living room uses beautiful and elegant architecture to make a bold statement. The furniture uses a perfect mix of subdued colors that work well in the natural light.